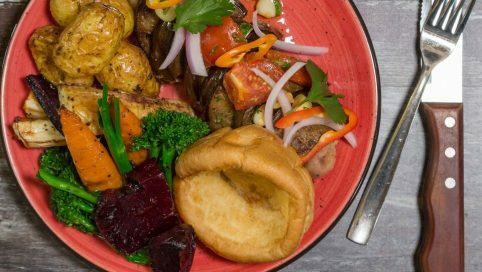 Peruvian vegan Sunday Roasts such as Roasted Miso Aubergine with garlic roast potatoes, yorkshire puddings, roast beetroot and glazed carrots to name a few! 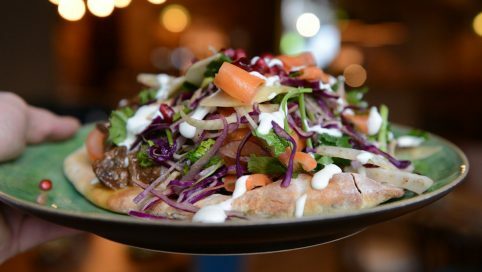 Gluten Free & Flavour full, Mommi’s Latin Lunches are epically tasty and also offer a children’s menu with free entertainment provided by The Kids Corner! SEND VOTE *We may email you updates about events in Clapham. The Belle Vue kitchen team produces freshly-cooked dishes to order from the finest quality ingredients. With a focus on Vegan and Vegetarian meals Sunday is no different with a Roasted chard, squash, hazelnut, white bean & seitan roast with jus and roasted carrots with agave & thyme, celeriac & truffle mash, sprouting broccoli, roast potatoes and Yorkshire Pudding. 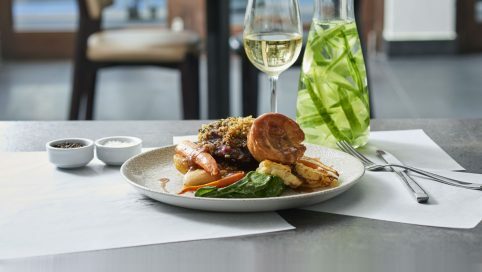 Clapham’s brand new vegan pop up serves their take on Sunday lunch such as The forager a chestnut and root vegetable stuffed woodland mushroom with sage crumb served with thyme & garlic roasted potatoes, maple glazed parsnips & carrots, vegan Yorkshire pudding, shallot puree,sweetheart cabbage, cauliflower ‘cheese’ & red wine gravy.